With somewhere around a bazillion blogs (give or take!) filling the blogosphere with words and pictures, information and instruction, observations and resources, keeping up with the many (many, many!) bloggers you’re interested in following can get incredibly overwhelming. …bookmark their blogs and remember to visit them regularly? …follow their Facebook page and hope to see notifications of new posts in your newsfeed? 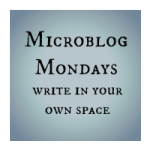 …sign up for e-mail subscriptions so that their blog’s latest posts end up in your Inbox? 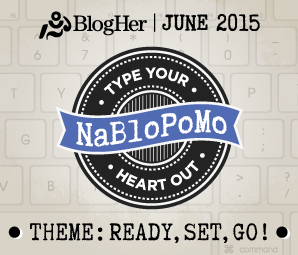 …add their blog to a feed reader such as Feedly or Bloglovin’? I know that a lot of people struggle with the issue of staying on top of their blog reading, so I’m really interested in hearing which strategies have worked for YOU. Please take a minute to share your wisdom – your comments will contribute to making this post a helpful resource full of creative solutions! 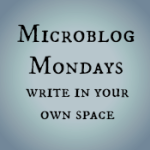 How do you keep up with the blogs you want to read? 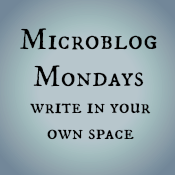 → #MicroblogMondays 40 linkup here! For a long time I used Google Reader. When it closed, I tried a few things and settled on Feedly. I’m exactly the same! I quite like Feedly. I sign up by email. I also check the facebook blogging threads I am part of and make sure to read at least 3 in each one. When a new person comments on my blog, I follow them. I have feedly but never used it –do they come into your inbox? No, but depending on which browser you use you can add an extension that notifies you when new posts show up in Feedly. I quite like that feature. I use an RSS [feedly] or sign on for email–nonetheless, it can get overwhelming. so many good blogs out there. I also check the midlife daily feed and visit at least 3. so much to read; so little time. There really are so many good blogs out there! I used Feedly too for awhile, but got out of using it. Now I read blogs in groups that I belong to on Facebook, LinkedIn, and Google+. I am thinking about returning to Feedly. I liked their platform. I quite like Feedly – it’s the only way I find I can really keep up with everyone on my list. I honestly don’t keep up that well, and I echo much of what you have said above. I tend to read blogs where I see the posts on social media – especially Facebook. I’ve decided not to subscribe by email any more – I pruned my list recently because I was so overwhelmed. 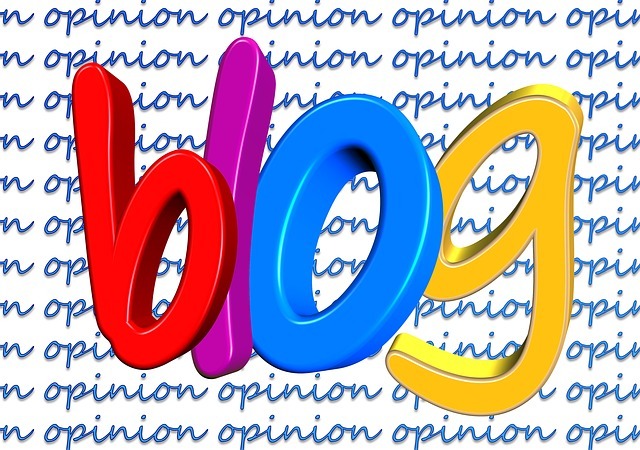 I also will read blogs written by those who comment on my blog. I sometimes read blogs I follow on Networked Blogs but I usually don’t visit the site. Yes, I had to prune my e-mail subscription list WAY down as well – I much prefer keeping up with everyone via Feedly. I used to sign up for e-mail subscriptions, but found it far too overwhelming. I love using Feedly now – it does a great job of keeping me organized. I have my daily go-to blogs & subscribe by mail if I’m afraid I’ll miss them. I try to use early morning for blog reading. I find that I have to catch some later in the Calif afternoon as there are a few who don’t post until late in the day. Sometimes it can get overwhelming. Also, I speed read, which helps. Your blog gets me especially with your photos and your tangles, both of which I look at for a long while! Here’s what I do – I read the ones that are on the FB group of bloggers that I am a part of. The weekly thread gives me enough time to go slow yet finish reading there, then I follow a couple from the reader via the phone when I am waiting for bus, or before going to sleep etc.. The reader ones are slow but I try to catch up. Lastly, the email subscriptions. They overwhelm me too so I take them slow. This helps me with my list.. Sounds like a good system. I tend to avoid reading blogs on my phone or iPad, as I find it a little awkward and slow to add comments when I’m not using my laptop. Too bad, since I’m on my iPad a LOT! I am really guilty of not keeping up with all the blogs that i want to read. I follow their FB pages because I’ll mostly not miss checking my FB timeline. It’s convenient that way. Hopefully FB keeps showing you the stuff you want to see! Sometimes I find the site is rather selective about what turns up in my newsfeed. I normally follow my fav bloggers through their FB page. Any new posts reflect in the feed. Yes, but not always and excludes a lot of them mostly. Am not too techy too. So now i have made an excel for myself with the blog addresses of my Favs. Things were so much easier when Google Reader was still around. After that, I’ve tried various other feed readers… feedly seems to be the best. Though, these days, I prefer to keep up with blog updates via Facebook and Twitter. Email subscriptions are a no-go for me. I have an OCD regarding orderliness, and I cannot stand an inbox with too many unread mails! I agree – I was quite attached to Google Reader… but I’ve grown to really like Feedly, and hope it sticks around. And I’m exactly the same about my Inbox – my goal is always Inbox Zero, and having too many subscriptions is detrimental to that! I can’t read every blog I come across. I simply comment on the two blogs above mine in every list, or all if I’ve joined a linky list. As it is, it takes me all morning writing my daily blog and then posting on various sites with the expectation of comment swaps. Where do we find enough time in the day to get on with our most important occupation otherwise? I’m writing my memoirs ar the moment and only manage about 50 words a day. I totally hear you! There really aren’t enough hours in the day, and all the various aspects of blogging can take up so many of them. Yes, blogging events are fun! Well Email subscriptions work for me too, and also FB blogging groups. FB blogging groups are definitely a great way to connect with other bloggers. Facebook does a pretty good job at keeping me up to tabs with the blogs I want to read, I am apart of so many blogging communities! GiGi Eats recently posted… A Tasty Recipe For Disaster! Blogging communities are great, aren’t they? So glad there are so many to choose from! I use bloglovin’ and—I love it! It seems very practical to me. I just follow my favorite blogs and then when I get on my computer I just have to check the one site to discover which of my favorite blogs have published new posts. I do the same thing with Feedly (which I understand is similar to Bloglovin’). A feed reader just seems like such a no-fuss, efficient way to go. That sounds like a good strategy. It really is impossible to keep up. We’re fortunate to have so many options for keeping up! Feedly (it used to be Google Reader) broken down into folders. I can then tackle a folder and leave, tackle a folder and leave, etc. I can sneak in blog posts between other things and not feel as if I’ve used up an hour reading since it’s in smaller increments. Yes, that’s what I do as well! LOVE Feedly. I really like Feedly because I can put blogs into various categories, some of which I’ll check more often than others. I have a very small list of Must Read blogs, and find it easy to keep up with them. The Feedly apps mean that I can also check it on iPad or my phone, wherever I am, and that helps. Yes, isn’t it a great resource? I love Feedly! I keep a track of the blogs I like to read primarily through the wordpress reader. 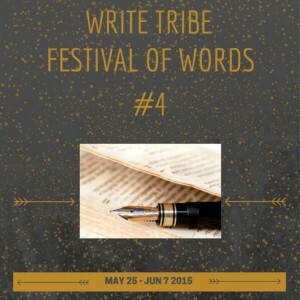 Then comes the links posted on the Facebook group Write Tribe. I make it a point to visit these blogs atleast once a week and get involved. I do not sign up for e-mail subscriptions for the reason that they get overwhelming and I end up never opening the links in the mails. I am much the same – I only rarely (if ever) sign up for e-mail subscriptions.